Fasttrack is a B2B business development agency designed for startups and companies worldwide. Its features include lead generation, list building, marketing segmentation, business development, and more. In this article, we cover Fasttrack reviews and pricing. Ready to get started? Visit its website. As of the date this article was written (February 21, 2019), there are no user reviews of Fasttrack available online. If you are a past or current Fasttrack customer, leave a review to help others who are deciding whether or not to use the product. Fasttrack pricing is not provided on the website. Pricing for similar software ranges from $9 to $30/month for basic plans, while the more extensive ones cost $100 to $100/month. Interested users may contact its customer support team to get a detailed pricing quotation. Ready to get started with Fasttrack? Visit its website. 13 Best Lead Generation Software for Sales 2019 – Businesses use lead generation software to capture a lead’s information (usually from a website), and then build a database of contacts for the purpose of qualifying and converting those leads to customers. In this guide, we compared Mailchimp, LinkedIn Sales Navigator, HubSpot, Infusionsoft, JotForm, Freshchat, AdWords, and more, in terms of price, ease of use, integrations, support, and overall features. How can Fasttrack help increase the attendees to a business’ webinar? 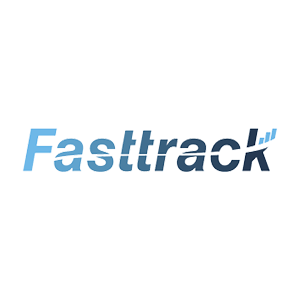 Fasttrack sends webinar invitations, promotes meetings, and manages registration of attendees on a company’s behalf. This is to ensure that businesses focus more on creating engaging content instead of using their energy to find potential participants. How can Fasttrack help streamline the list building process? 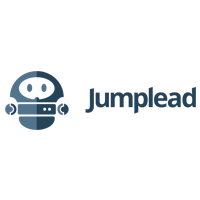 Fasttrack assigns clients to a project manager who will help the business define its targeting criteria. This will then be used to build a prospect list. After that, the team will build a list of companies, composed of 30 to 200 target accounts, based on the specifications. Have you read these Fasttrack reviews and are still not sure if it’s the right fit for you? Read our reviews of all top lead generation software or check out one of these three Fasttrack competitors.